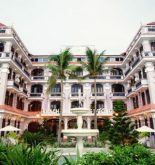 The comfortable Like Hoi An Hotel (The previous name: Thanh Van 2 Hotel) is located at the center of Hoi An old quarter so it just takes you a few minutes to walk to the center, 15 minutes to come Cua Dai beach and 35 km to come Da Nang airport and train station. 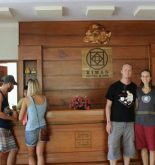 Hotel can also arrange excursions for tourists visiting My Son Sanctuary, Marble Mountain and many other tourist destinations. 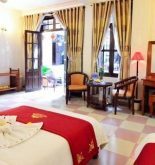 The Like Hoi An Hotel includes 37 spacious and quiet rooms. All of them have air conditioning, cable television, international direct dialing and safety deposit box especially there is window or balcony overlooking the view of city or the far green vegetable gardens. 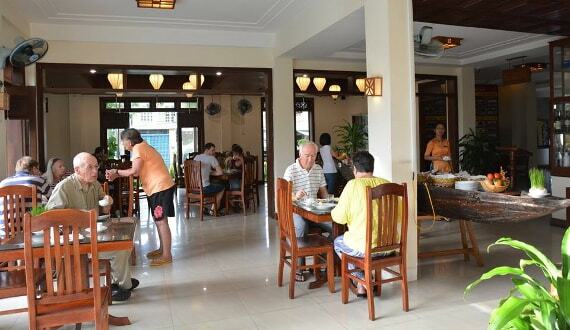 Most of tourists visiting Hoi An were impressed with culture and culinary art of this place so to meet culinary need of tourists, restaurant of Like Hoi An Hotel services a variety of specialty of Hoi An old quarter which is processed by the talented cooks in Hoi An. Besides, at Like Hoi An Hotel, tourists will have opportunities enjoying recreational services and facilities as outdoor swimming pool, tour, car rental, business center and conference room. Address: 467 Hai Ba Trung street, Hoi An, Quang Nam, Vietnam. This information has been supplied by Like Hoi An Hotel.